There's much to be said for consistency and a steady work ethic. Finland's Soulhealer has put out an EP and three albums in a mere five years. 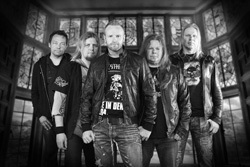 The latest and third album is Bear The Cross, another solid offering of classic melodic hard rock and metal. You describe this album and Soulhealer's sound as 'stick with what you do best' or 'if it ain't broke, don't fix it.' The band sticks with the fundamentals that makes classic metal both entertaining and enduring: melody, harmony, twin lead guitars, clean vocals, and a strong rock groove, all wrapped up in steady arrangements. It's a formula that has worked well for Soulhealer. Perhaps the most impressive and consistent of these elements is the harmonious vocal and guitar arrangements and the spry dual lead guitar attack. 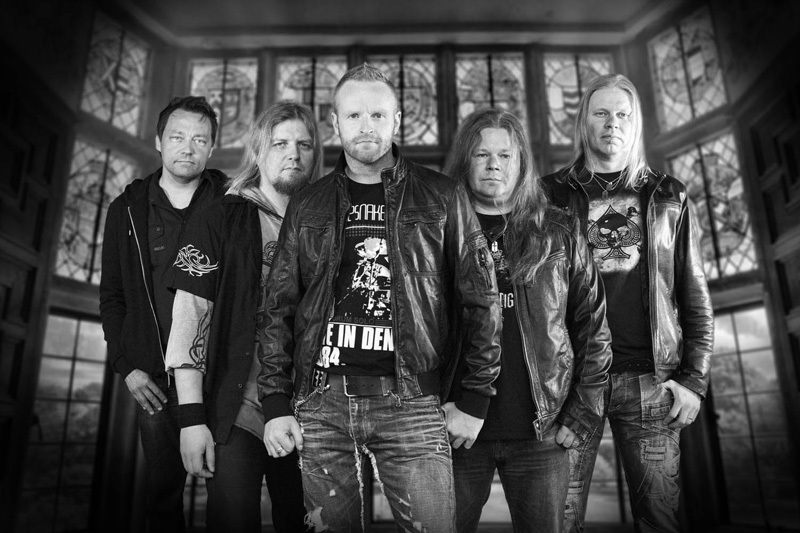 Having a deference for the latter, Bear The Cross is easy to listen to for this lover of melodic metal. The leads are sharp, varied, but at the same time strangely unpretentious. You get the idea that neither Sami Mikkonen or Teemu Kuosmanen have the desire to show off or upstage each other or the rest of the band. It shows some true team work. As for the songs, most stay within a moderate mid tempo pace with a few, like Unleash The Beast or Revealed, becoming more assertive in their speed. Dead Man Walking and Thorns In My Heart likely fall in the former category, but having a somewhat heavier and deeper feeling. But neither like that groove or the necessary melody. Actually, the former song may have one of the smoothest vocal arrangements of all the songs, even though over that deeper sound. In the end, it all works. Soulhealer and Bear The Cross make classic heavy metal fresh for the 21st century. Recommended. 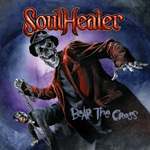 Once more, on their third album, Soulhealer and Bear The Cross make classic heavy metal fresh for the 21st century. Recommended.